Once again, another MUA post! When I heard that MUA was releasing a new luxury make up collection, lets say being excited was an understatement. As I've said in previous blog posts, I LOVE MUA. I think the quality of the products for the price you pay is amazing and could even beat many other high street brands. 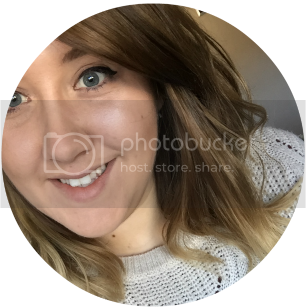 Most of my daily makeup nowadays is mainly MUA products and I will also recommend them to anyone looking for new makeup. When the release date finally came around and I knew they were out in the shops, I headed to my local Superdrug to purchase as much as possible. Every time I've been into a Superdrug, all the MUA stands seem to be half stocked and always have at least one person looking at their stand so to find nearly all of the Luxe range available surprised me quite a lot. 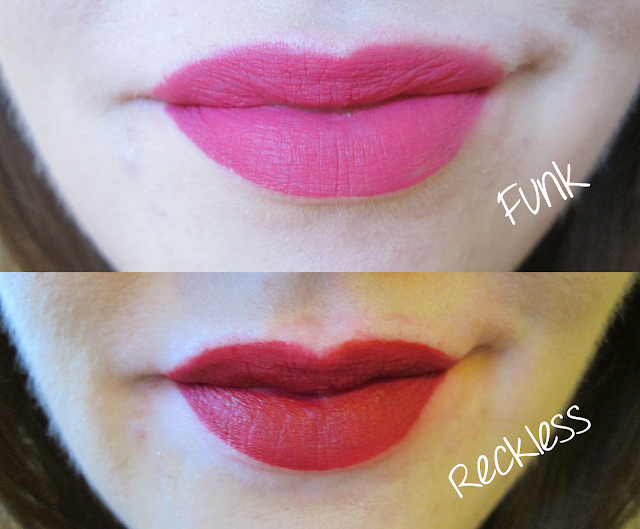 I managed to pick up two Lip Lacquers, Funk & Reckless and then a felt eyeliner, which I will review separately. "Smooch your way to red carpet glamour with MUA Luxe Velvet Lip Lacquers. Long - lasting and kiss proof, these intense formulas come in five rich, vampy shades. Encased in chic frosted glass packaging, these lacquers glide on with the ease of a gloss, drying in seconds into a matte velvety texture. They are the ultimate make-up bag must have." Not a very good picture because of the lighting. I decided to try Funk first which is a bright fuchsia pink colour, not my usual choice but I have to say, when applied I did fall in love with it. 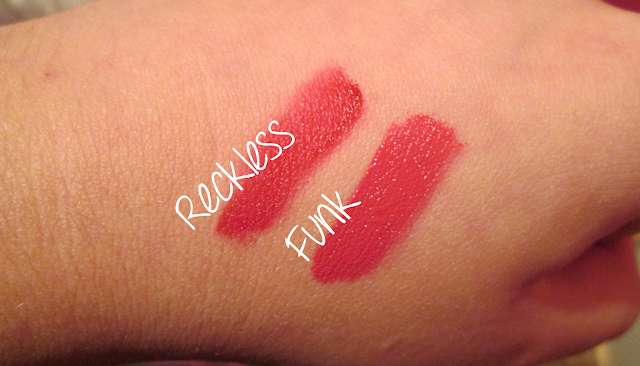 Reckless is more a classic red but with a dark vampy twist and I have to say it's my favourite out of the two. I found when applying the lacquer, that you have to be quick and precise because within seconds, it had dried onto my lips and stained where I had tried to rub it off. To test out the product properly though, I decided to wear it to work. The first thing anybody said to me when they walked in was how amazing it looked and how much they wanted to go out and buy themselves one, so that was a good start to the day. Unfortunately that's where it goes down hill a little for me. I noticed after having a drink and moving my lips a bit, the lacquer was starting to crumble a little on the inside of my lips. Because of the matte texture as well, I found my lips were quite dry and felt like they needed gloss or balm to put over the top. I did like the colours but I think the crumbling and the uncomfortable dry feeling has put me off wearing them again. I think for £3 each, it's alot of money when you compare them to the MUA matte lipsticks which for only £1 each, I have to say I'd much prefer to wear them.